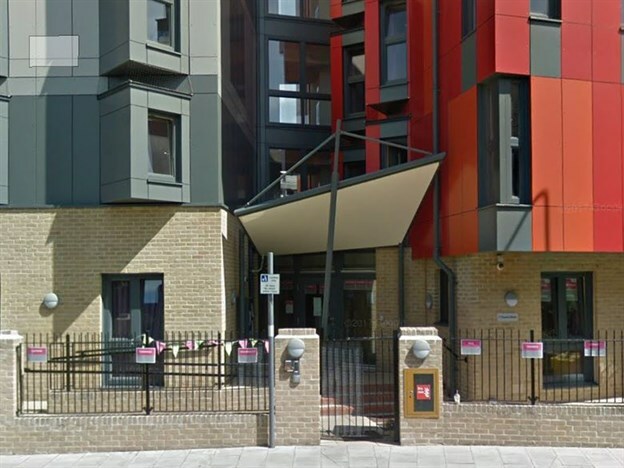 We received an initial concept from the architects on this scheme in Oxford for a contemporary new complex to replace an old block. 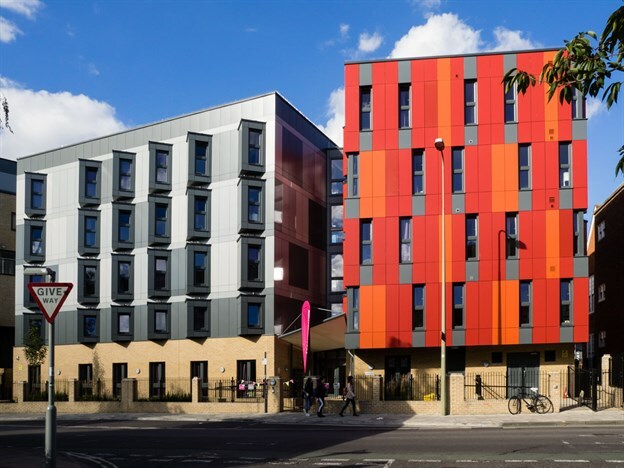 They required a canopy to highlight the entrance of the student accommodation and affordable homes and link the two buildings. 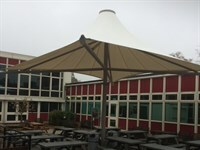 We adjusted the concept during the design phase with a couple of extra struts for support and to enhance the shape of the canopy. 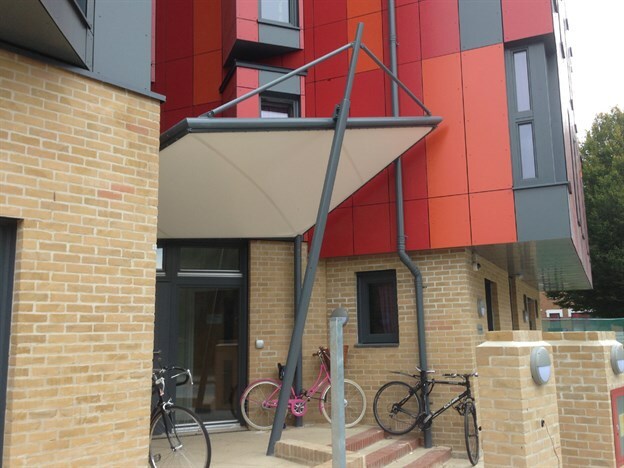 The canopy, at 4.8m x 3.8m, perfectly complements the new more urban aesthetic of the buildings, and of course offers all weather protection for people entering and leaving the building. 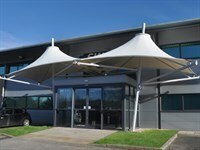 View our range of product entrance canopies.